This is sort of a cross post from the Graham Friends Church web site, but figured I would post here as well about my Bible reading plan to close out 2014. The plan is to read the New Testament starting today and ending on December 31st. I suppose if I had been a little more on the ball I would have started it on Labor Day. Even with my late start, I had planned to start it by Wednesday, but Amazon uncharacteristically failed to ship my order of a new Bible on time, causing an additional delay. 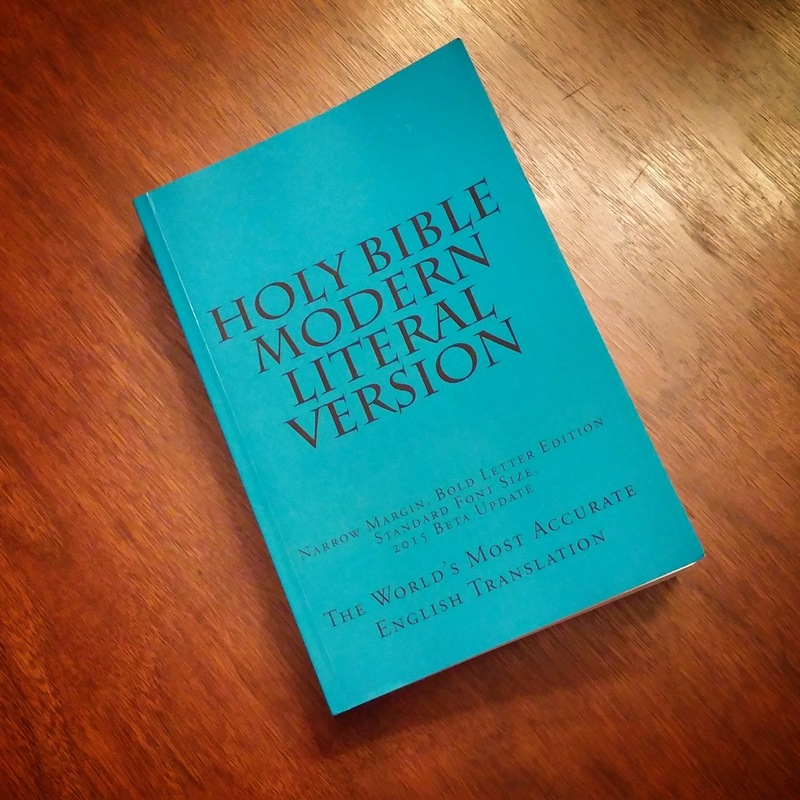 For this go round reading the New Testament, I decided to get a new hard copy and opted for the Modern Literal Version. I was looking at the Modern English Version that was released on September 2nd, but didn't want to wait (which turned out to be moot given Amazon's fail). I most recently read the Lexham English Bible version that is included in Logos' software package and did a run through of the Revised Standard Version as well. Both of those were done via my tablet and the Logos Bible app, and I was ready to have an actual book back in my hands.